The Standard Package includes the following features: Apple CarPlay, Enform App Suite 2.0 (Traffic Incidents, Weather, Slacker, Yelp, Sports, Stocks, Fuel Prices and NPR1), Enform Safety Connect (Automatic Collision Notification, Stolen Vehicle Locator, Emergency Assistance button and Enhanced Roadside Assistance), Scout GPS Link (3 Year Subscription), 8” LCD Display, Backup Camera, Lexus Safety System + Pre Collision System, Dynamic Radar Cruise Control, Lane Departure Alert w/ Steering Assist and Automatic High Beam. NuLuxe Leather Seats (10-Way Driver/8-Way Pass. ), 8 Airbags, Heated Front Seats, Dual Climate Control, 8 Speaker Lexus Premium Audio, Push Button Start with Smart Key System, Tilt & Telescopic Steering Wheel, Paddle Shifters, Auto-dimming Rear View Mirror, Power-Adjustable & Folding Heated Side Mirrors, 17” Alloy Wheels, Bi-Beam LED Headlamps (Low Beam), LED Daytime Running Lights, LED Clearance Lamps, LED Fog Lamps, LED Brake Lamps, Headlamp Washers, Windshield Wiper De-Icer and Rear Privacy Glass. This Luxury vehicle has a fuel economy of 10.8/8.9/9.9 L/100km 26/32/29mpg (city/highway/combined). For the type of automotive experience you deserve, bring your business to Lexus of Edmonton. 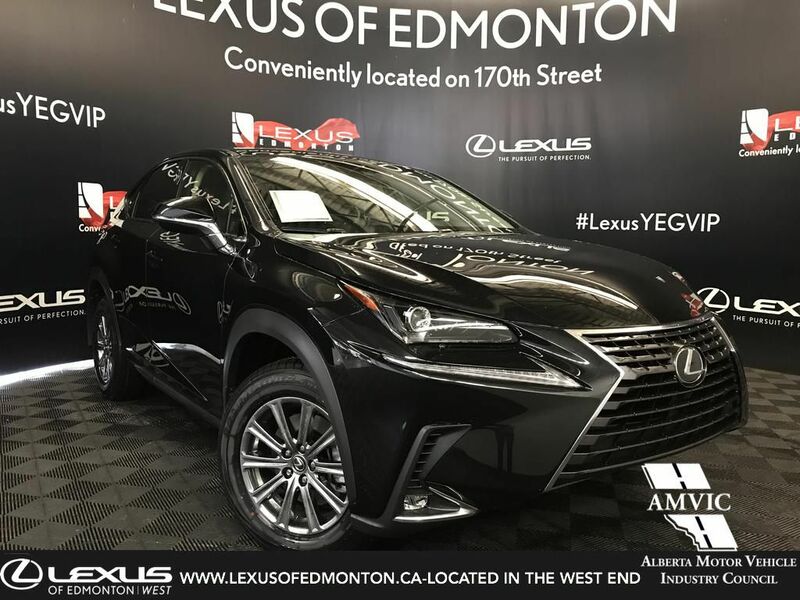 We have proudly served Edmonton for over a decade, and we’re serious about our commitment to our customers, our drive to help the community and our dedication to all things Lexus. Whether you’re considering buying or leasing a new car, need service for the one you already own or simply want to explore our state-of-the-art facility and all it has to offer, Lexus of Edmonton is here for you. 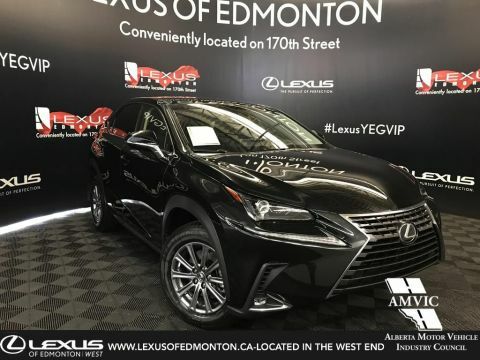 Come test-drive the new or pre-owned Lexus you need to turn your daily drives into joyrides at our Lexus dealership in Edmonton, AB. A new Lexus RX or NX SUV is perfect for drivers who want safety, performance and luxury in one package, while Lexus sedans like the IS, ES and GS will help you own the open road. Drive a new Lexus hybrid vehicle to save at the pump, or opt for a Lexus F-Sport model to get racetrack-ready performance. 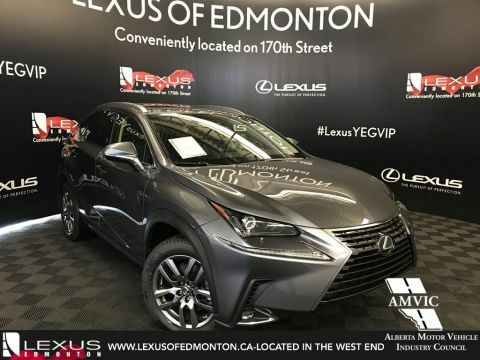 The selection you’ll find at Lexus of Edmonton is unmatched, and that extends to our pre-owned Lexus vehicles as well. Whether you want a used Lexus, a Certified Pre-Owned Lexus or a used car from another top make, our Lexus finance experts can help you secure a loan or lease that makes sense for your budget. New vehicle pricing includes all offers and incentives. Tax Title and Tags not included in vehicle prices shown and must be paid by the purchaser. While great effort is made to ensure the accuracy of the information on this site errors do occur so please verify information with a customer service rep. This is easily done by calling us at 780-466-8300 or by visiting us at the dealership. Would you like to test drive the vehicle at the dealership or at home? Are there any additional comments/questions you have? 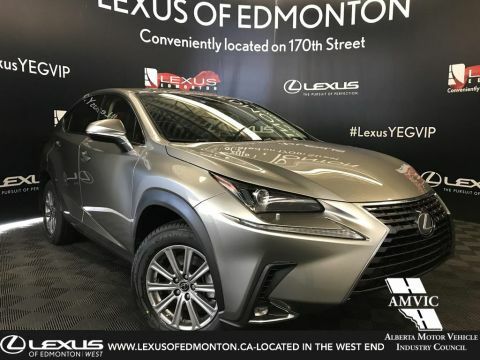 Lexus of Edmonton	53.5613241, -113.6154779.